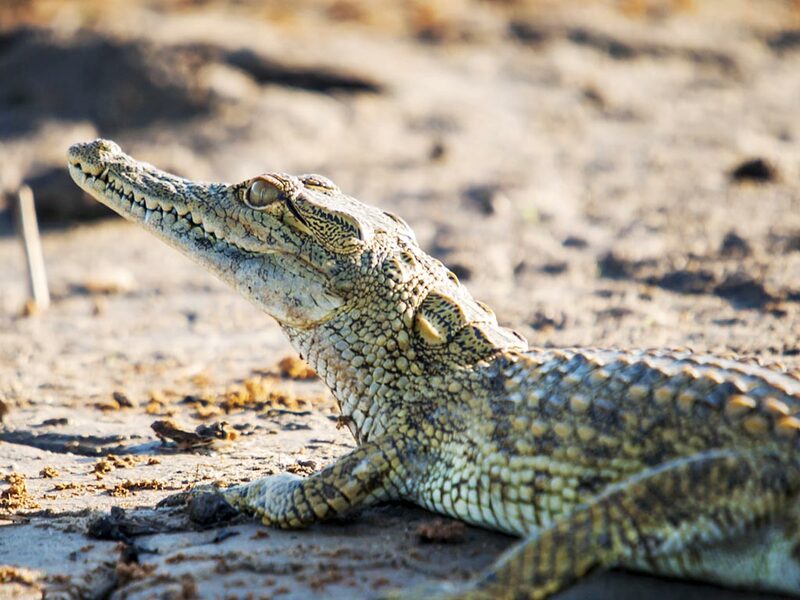 This individual mobile explorer safari is ideal for adventurous people who want to experience the famous national parks along the northern circuit in all its facets. 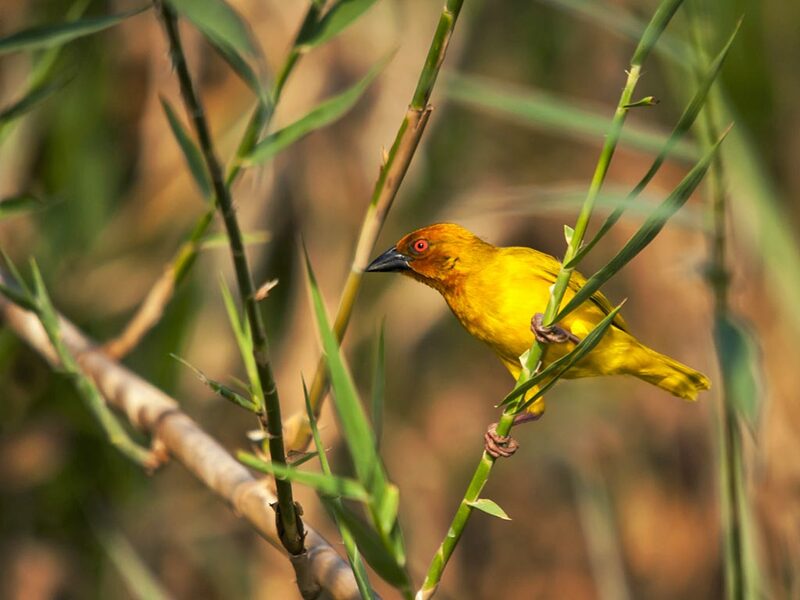 Join us on an incredible journey into the pure remoteness of Tanzania and expect to be amazed by the abundant wildlife. 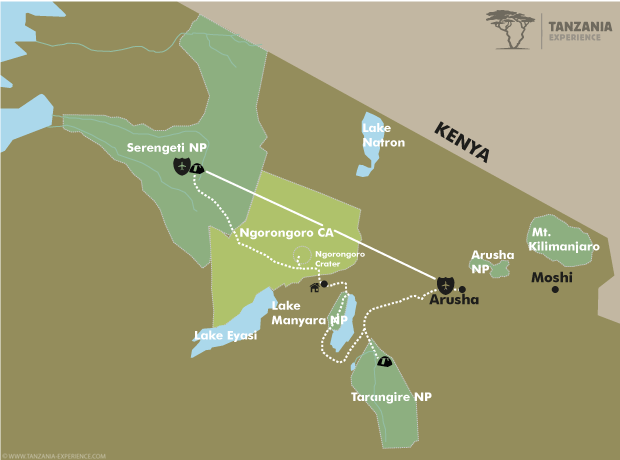 After a briefing in the morning, you will head off in the direction of the Tarangire National Park. 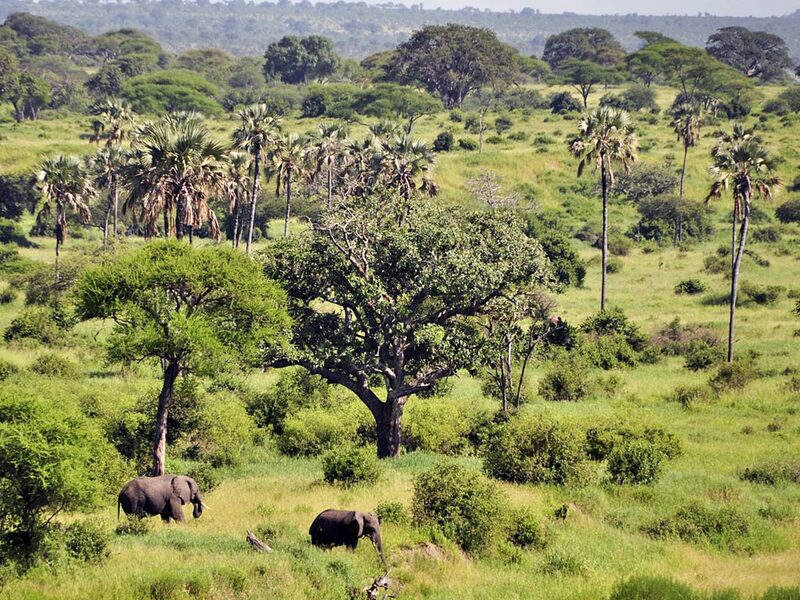 Giant Baobab trees, the bush savannah and the seasonal marshes add to the wonders of this nature reserve which is considered one of the best places in East Africa to view elephants up close, not only because there are thousands of these animals, but also because they do not feel threatened by the presence of a vehicle. 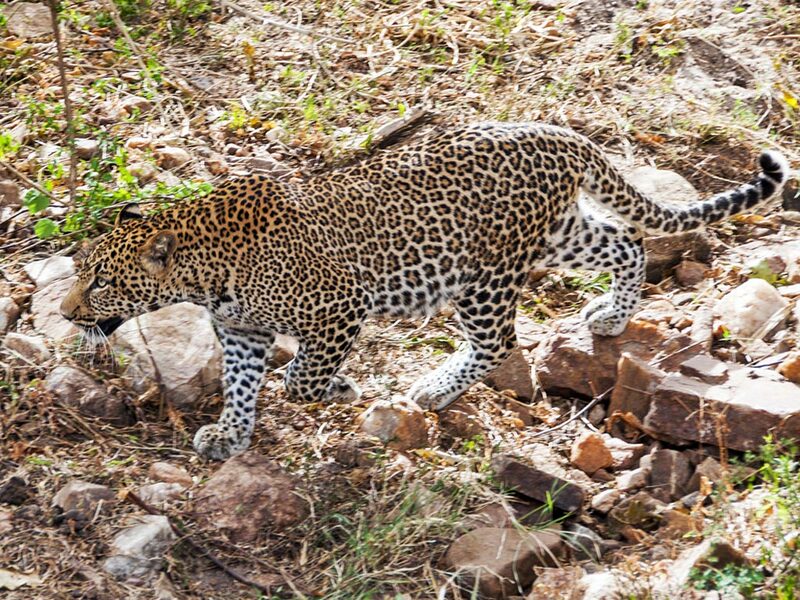 With a bit of luck, you can see leopards and on some rare occasions even cheetahs can be spotted. 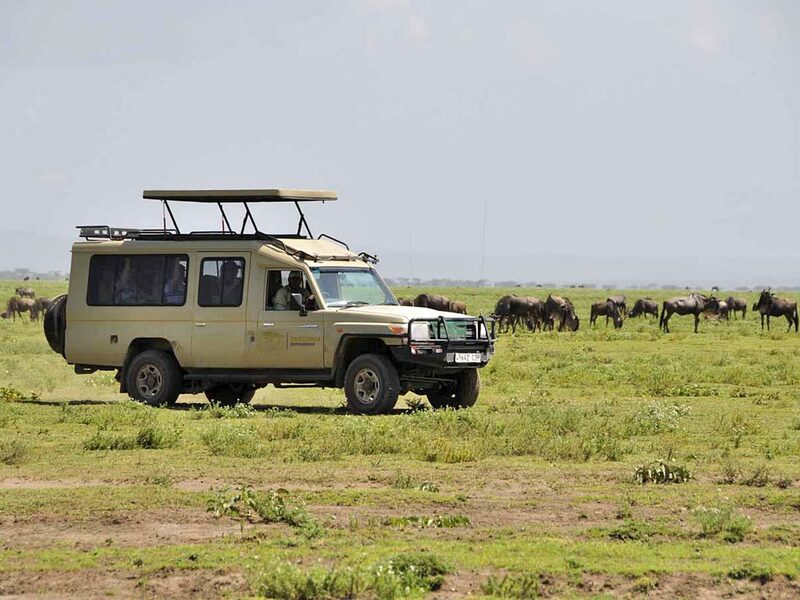 From the open roof of the safari vehicle you will be able to absorb the landscape and watch the animals. 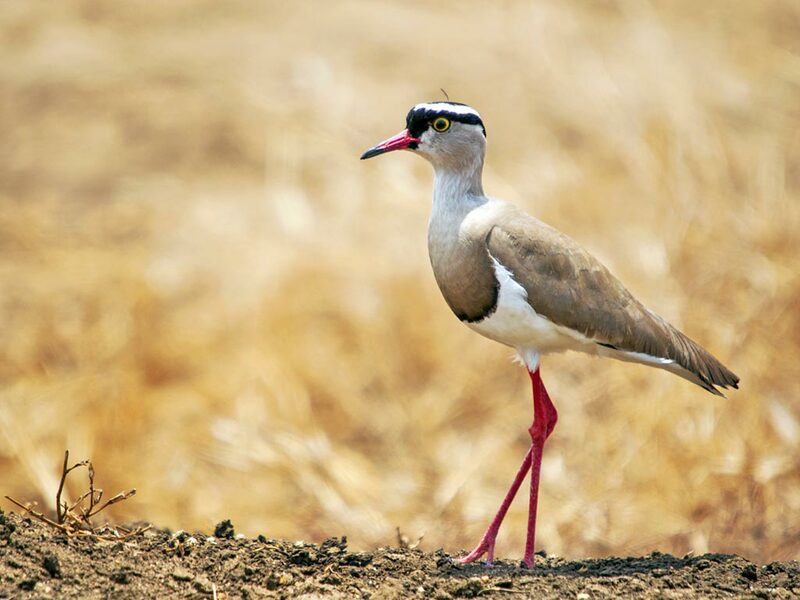 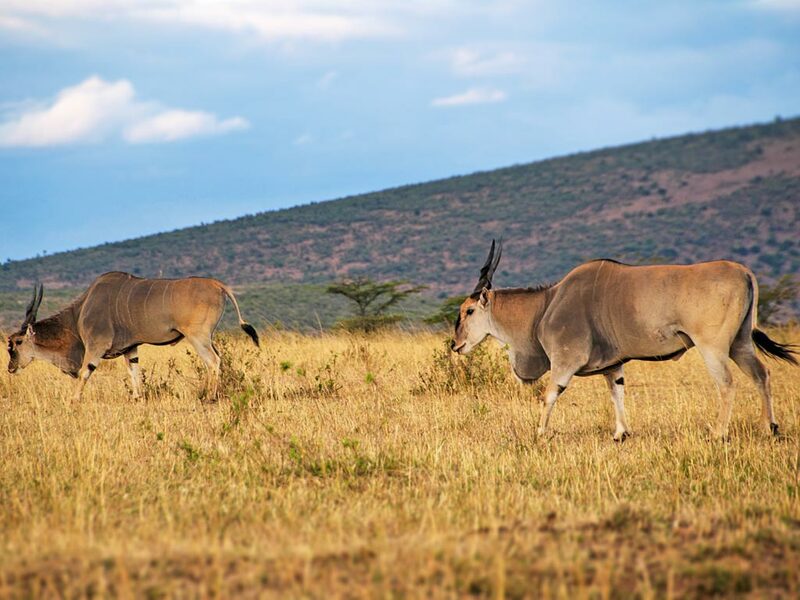 Furthermore, you will also have a chance to see the elegant Maasai giraffe, various gazelles and antelopes, buffaloes, lions and marvel at the rich bird life. 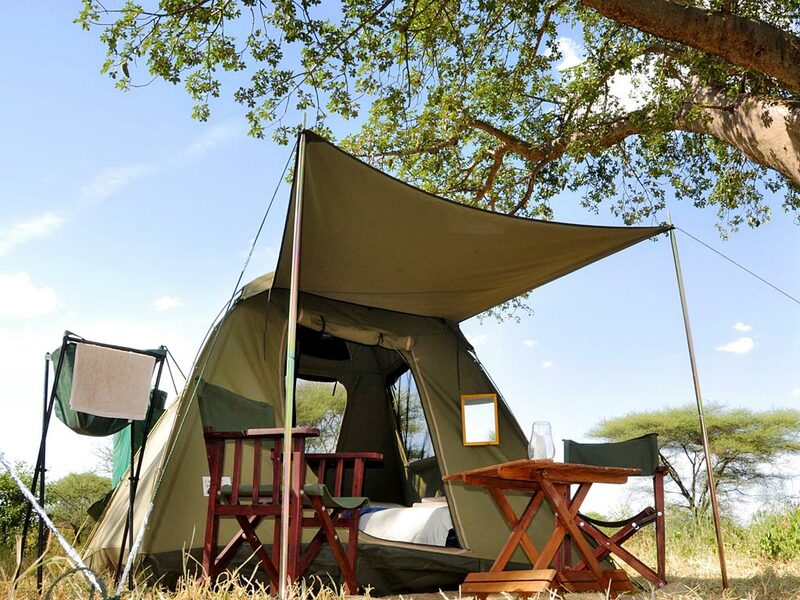 After an exciting day of watching wildlife, you will reach the Mobile Explorer Camp which has been set up especially for you on a secluded campsite in the Tarangire National Park. 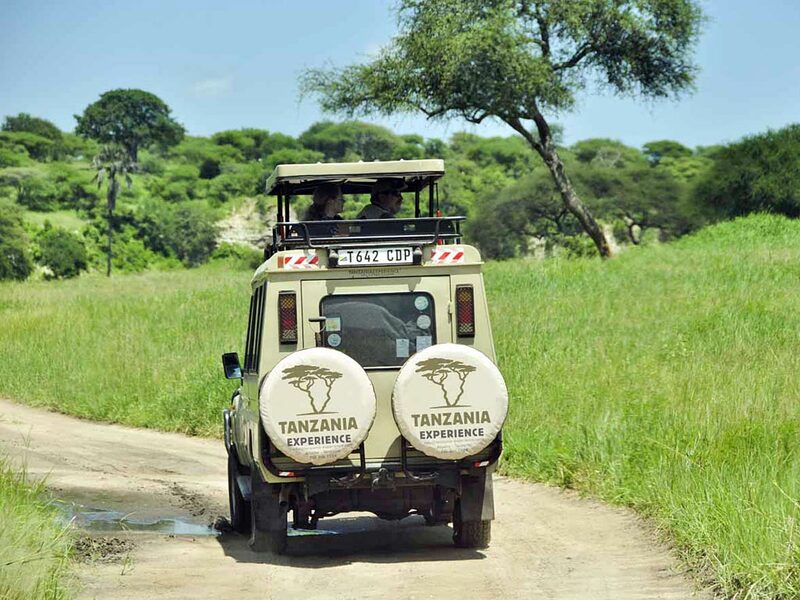 Today is set aside for more game drives in the Tarangire National Park. 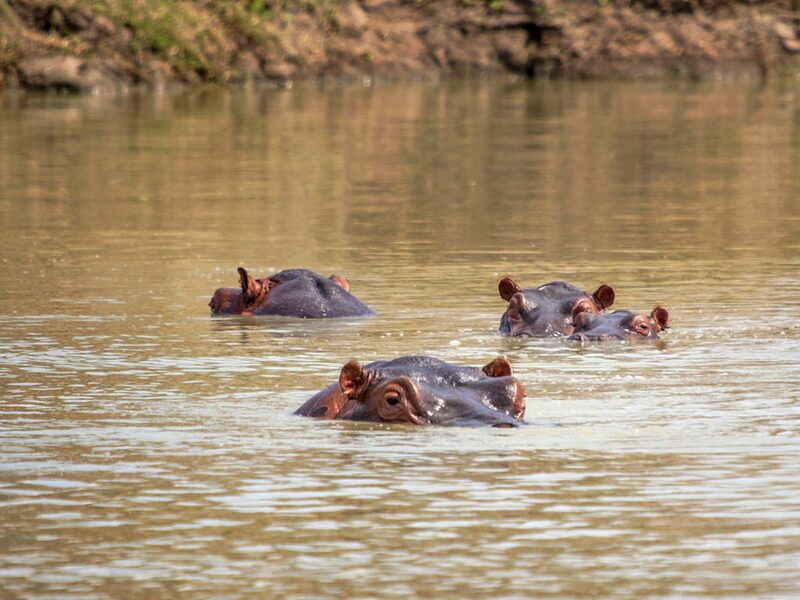 The Tarangire River is the only permanent source of water in the park and the wildlife tends to concentrate in its vicinity. 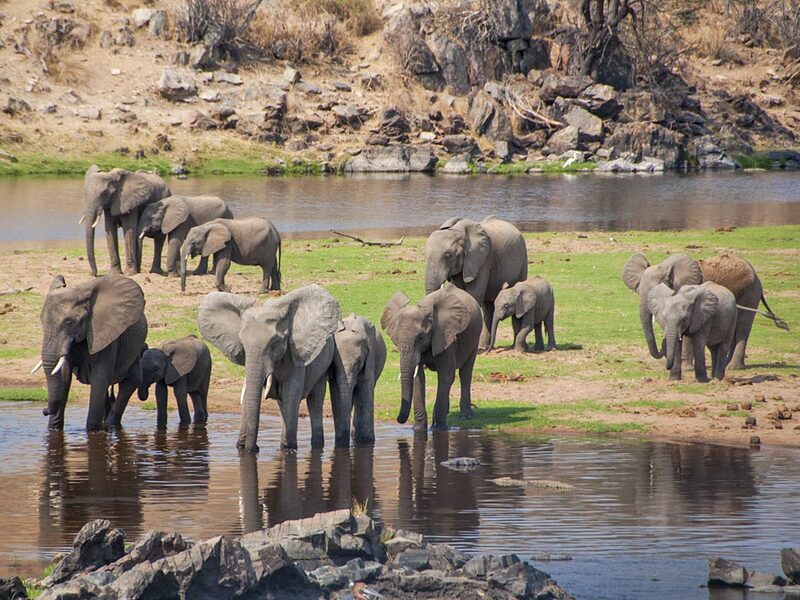 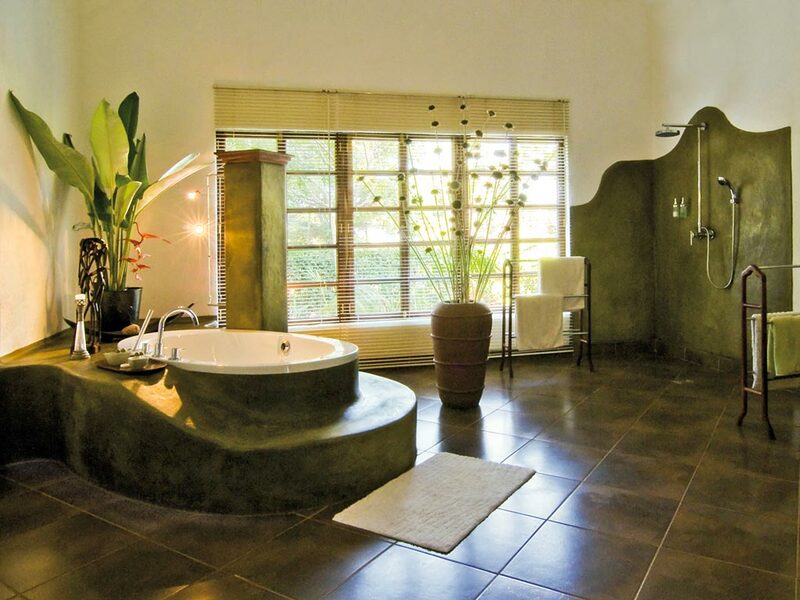 You will be able to observe herds of elephants and wildebeests as they come to drink especially during the dry season. 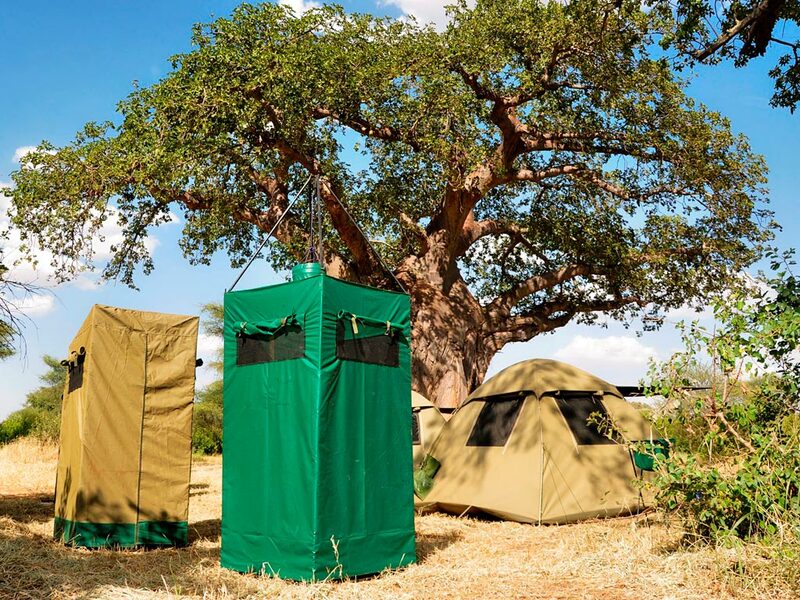 You will spend another night at the Mobile Explorer Camp. 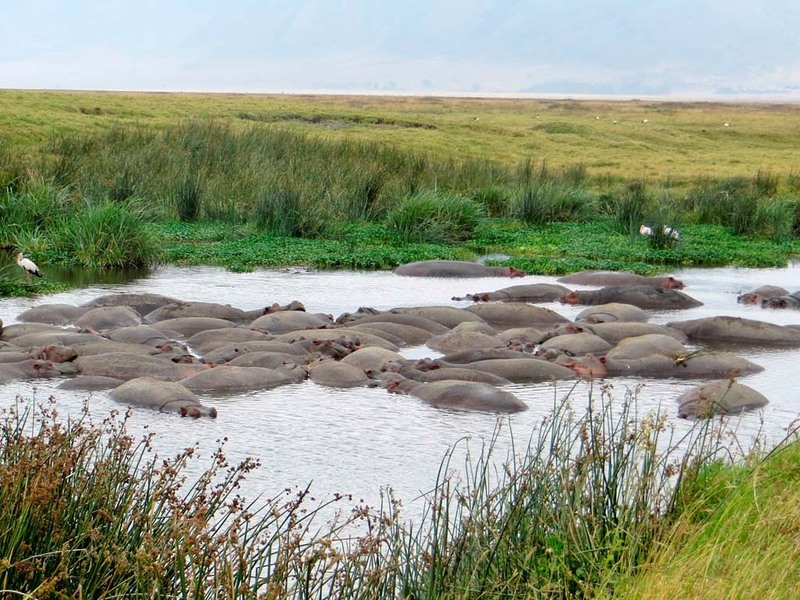 Breakfast is at day break before you drive into the Ngorongoro Conservation Area and down into the Ngorongoro Crater, the largest unbroken and unflooded caldera in the world with an incredible wildlife diversity. 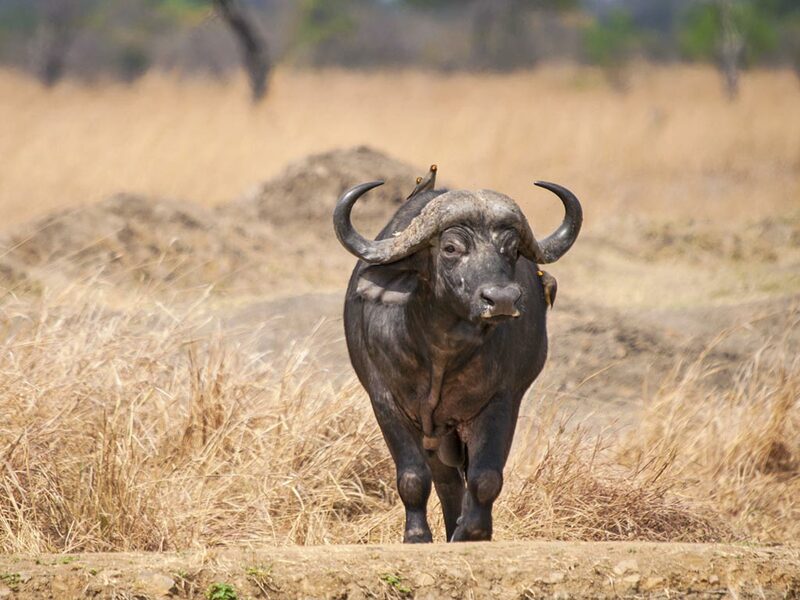 Here you will find almost all species of the East African savannah including the Big Five – lion, elephant, buffalo, rhino and leopard. 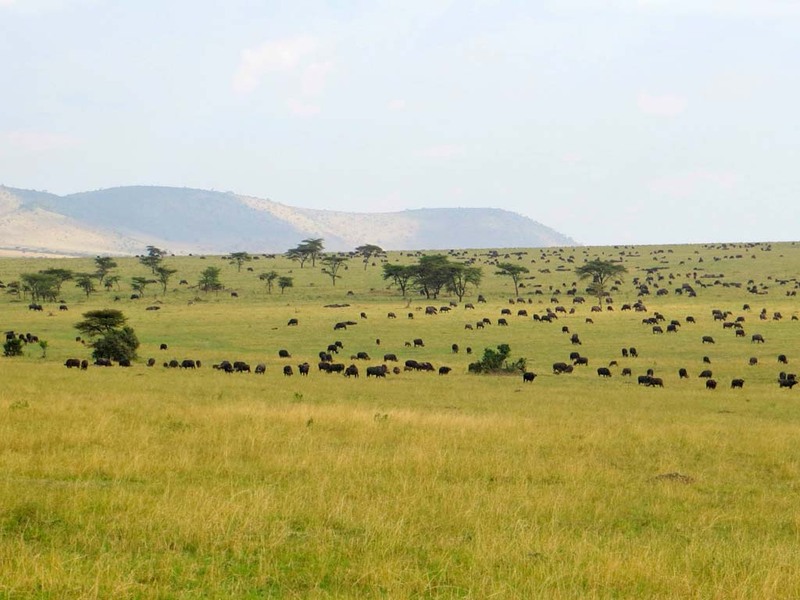 After an extensive wildlife tour and a picnic you will leave the crater in the afternoon and continue your journey to the Serengeti National Park. 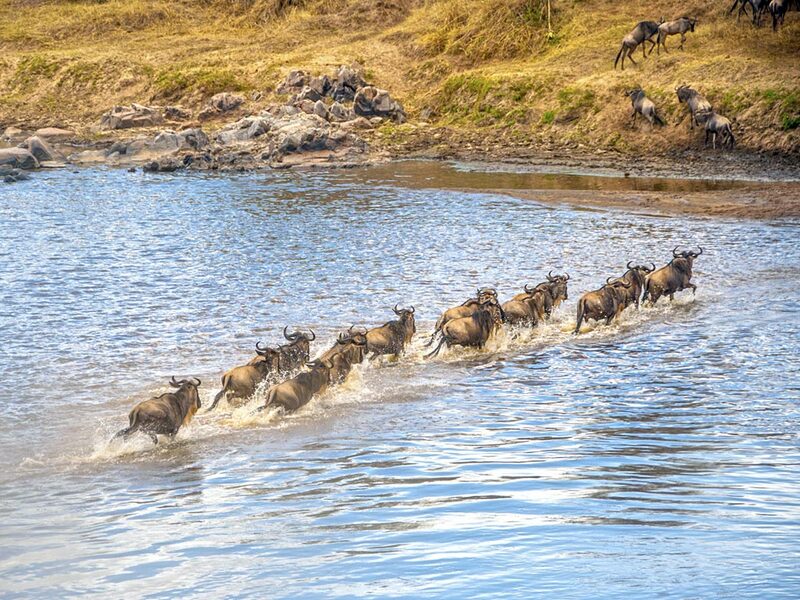 The southern plains of the Serengeti literally seem to go on forever, stretching to the horizon and only interrupted by bizarre rock formations. 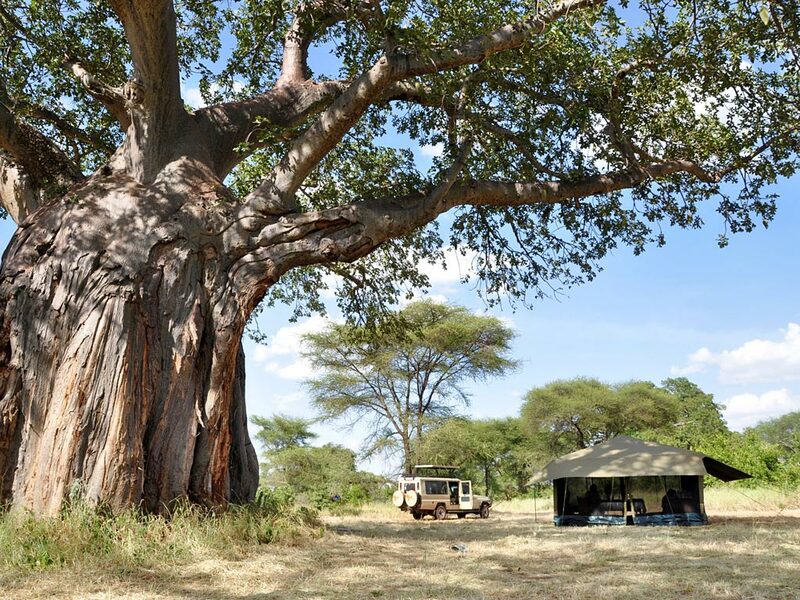 In the late afternoon, you will reach the Mobile Explorer Camp at a remote campsite in the Serengeti National Park. 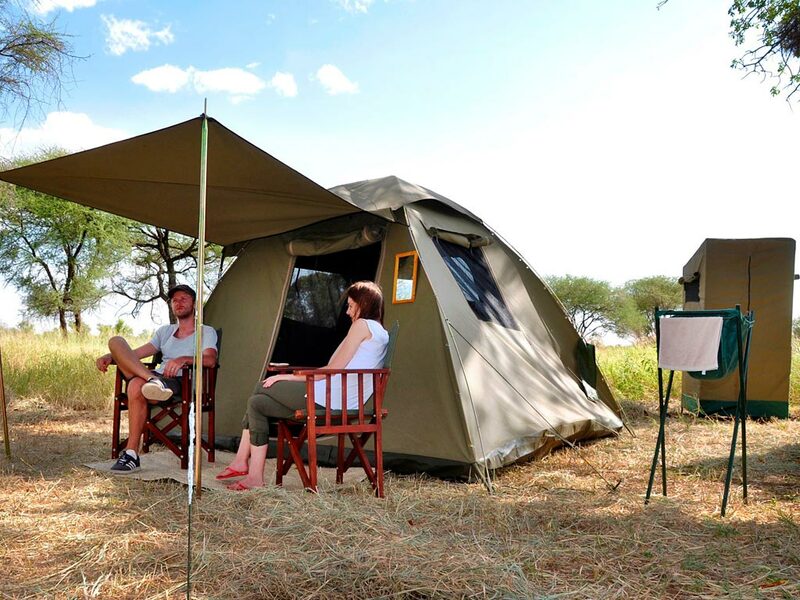 Listen to the sounds of the wilderness while you sit around the camp fire and enjoy your privacy in the middle of the African bush. 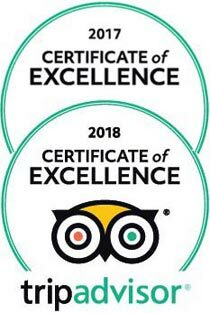 This is a private tour and hence there won’t be anyone else except yourself and the people you chose to travel with in your group. 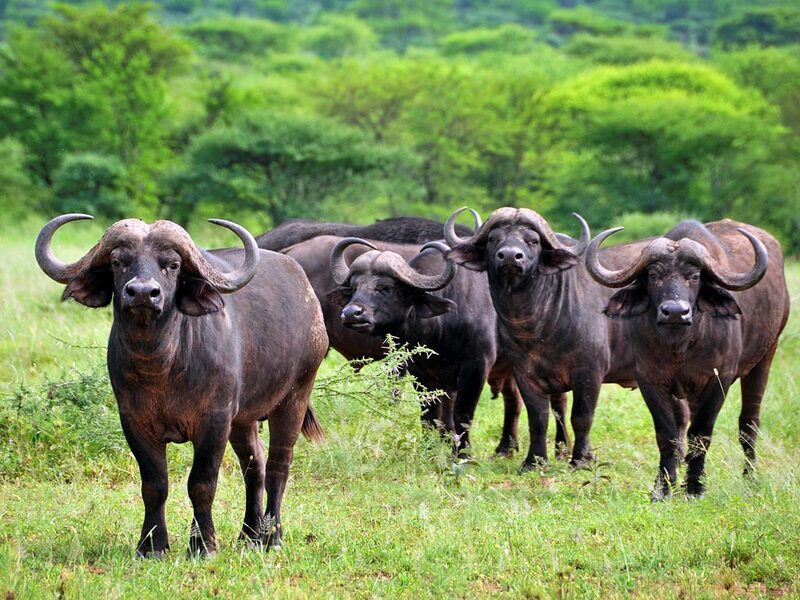 Please note that we can take a maximum of 10 people on this safari. 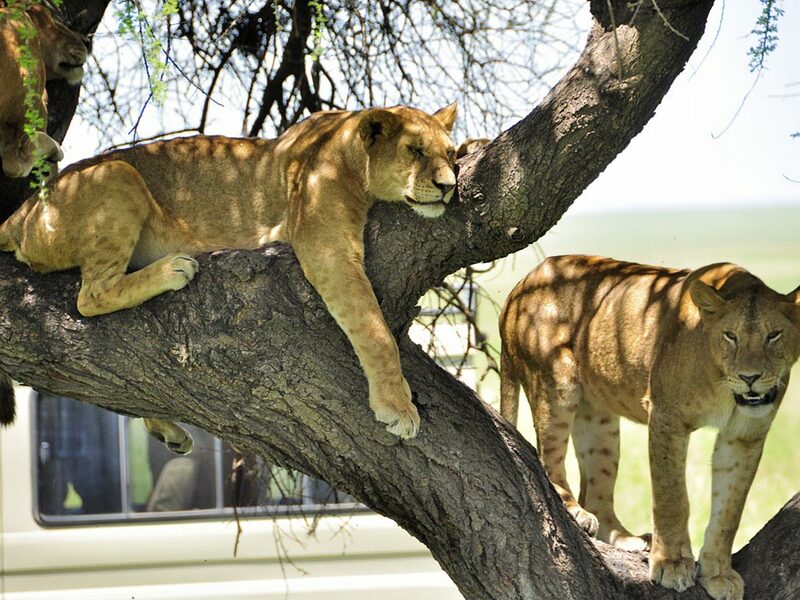 There is no set age limit, however, we discourage parents with children under the age of 10 to join such a safari due to the lengthy drives and the fact that nights are spent in the wild. 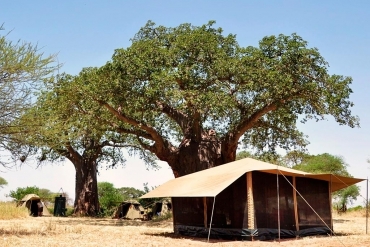 Furthermore each tent can only accommodate 2 people and should parents travel with children, they would have to split up should they not want their kids to sleep in their own tent. 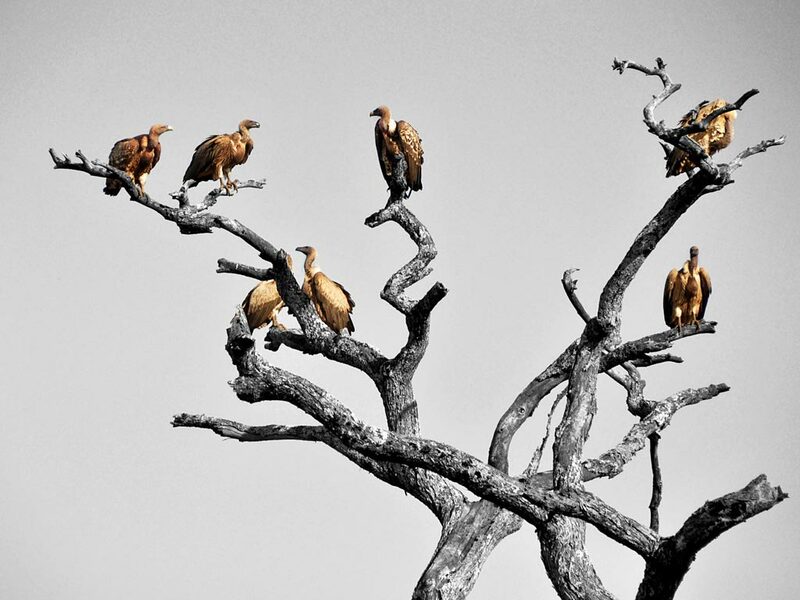 If parents however insist on bringing their child / children, they are welcome to do so but must keep in mind that the sole responsibility for the kids lies with them at all time. 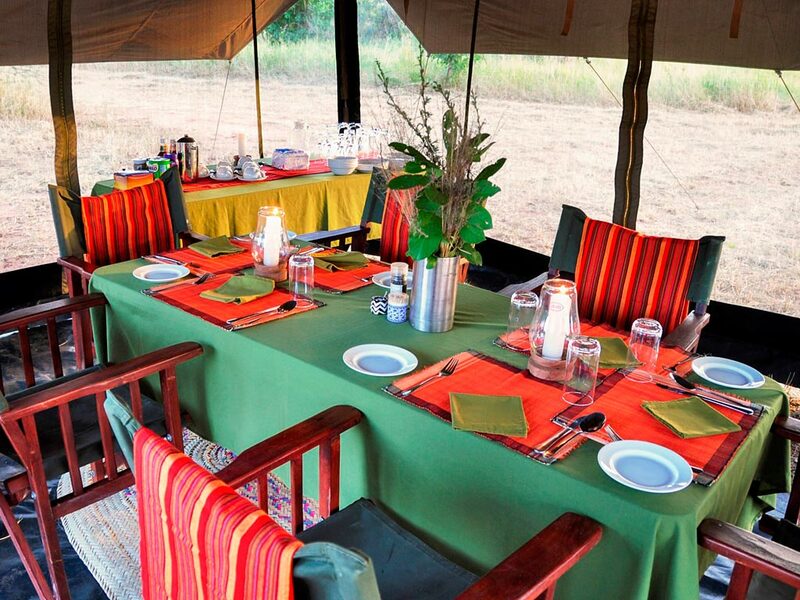 Nights are spent in our Mobile Explorer Camp and in lodges or tented camps. 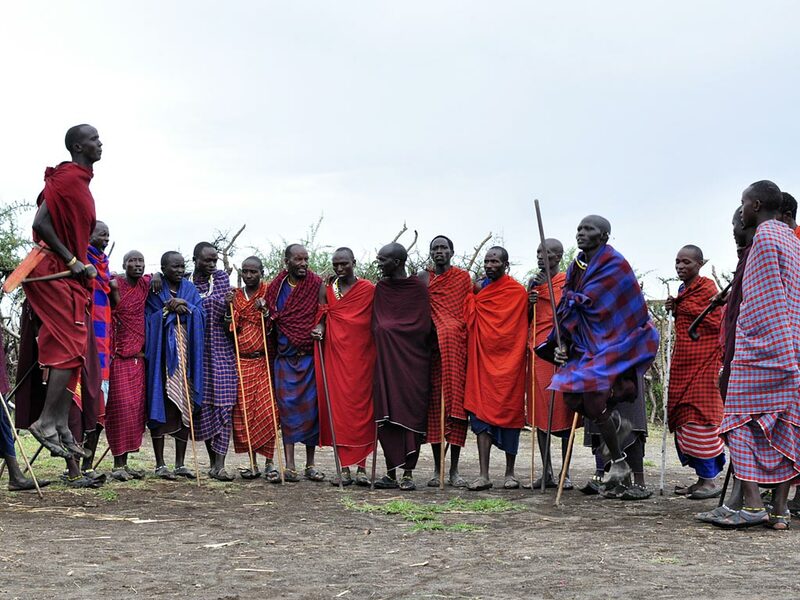 While this safari focuses on taking you to the most remote areas of Tanzania, you will have to spend one night at a lodge or tented camp, while the Mobile Explorer Camp moves to the next location. 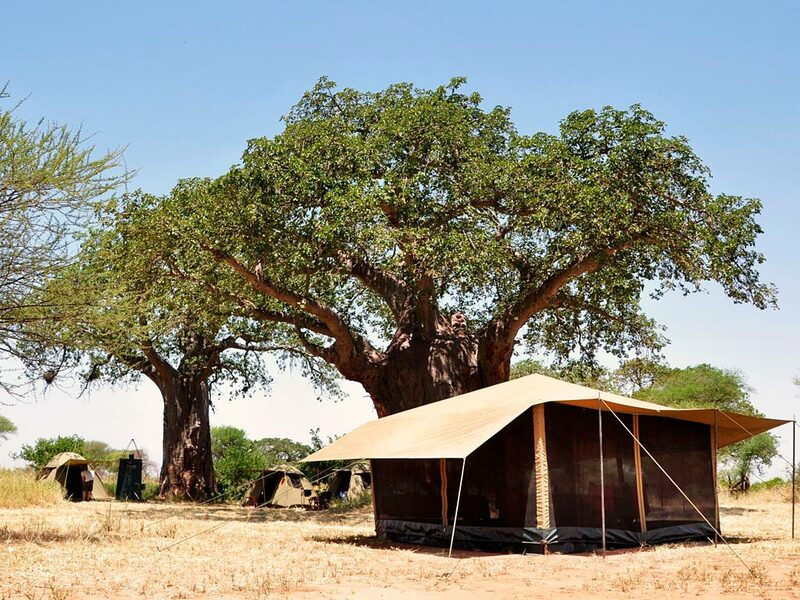 While staying at the Mobile Explorer Camp, you will overnight in spacious tents (3x3m surface area, 2,1m high). 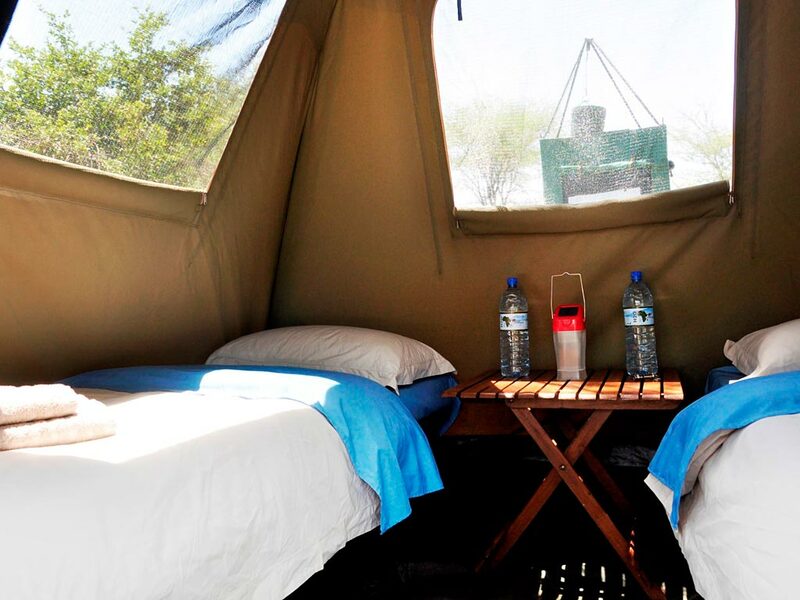 Each tent is equipped with real beds, side tables and battery-operated lamps and comes with a private toilet and bucket-shower tent. 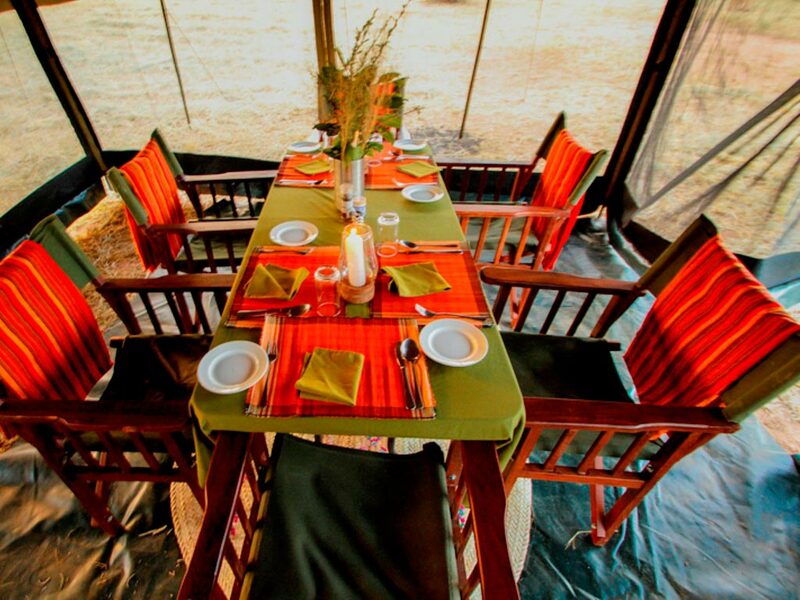 Breakfast and dinner are served in a mess tent and for breakfast eggs, sausages or bacon, toast and jam are usually served, whereas a three course menu is typically served for dinner. 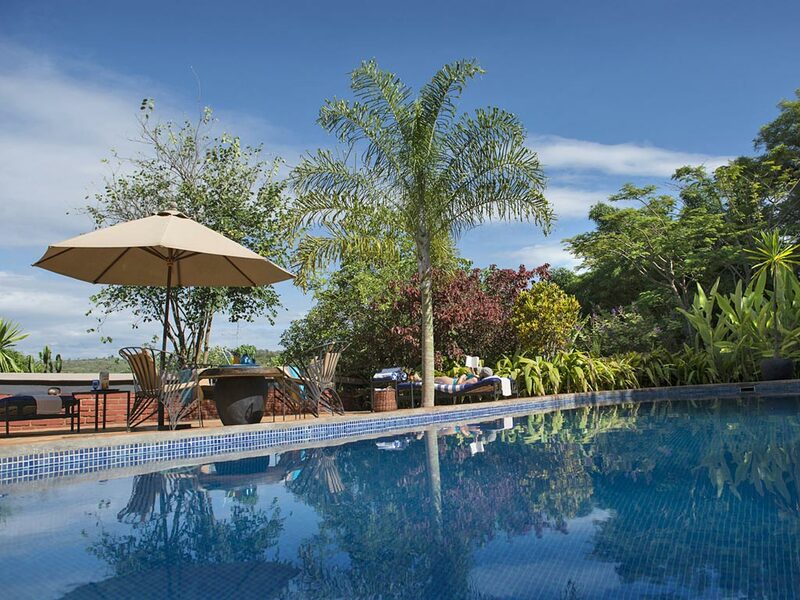 Lunch is mostly enjoyed en-route in form of pre-packed lunch (lunch-box) consisting of sandwiches, boiled eggs and fruits or grilled chicken thighs.